And I made two more while I was at it. The next two cards are watercoloured on hot press w/c paper using distress inks. The card below uses the same patterned paper as above for a simple frame. ... and the last one I modeled after my grand-doggie Violeta. This has a simple ground made with masking and sponging. Can you see the resemblance??!! I hope you'll come play along. The challenge runs from the 25th to the end of month. It's always Anything Goes Christmas. This dog is so cute ! And as you say, the sentiment is perfect for it ! Love the three cards with may be a preference for the Violeta's CASE. So funny with its white "socks". Not sure to want to visit the new company, I'm afraid to be tempted with "a few" products....Thanks for sharing and for inspiring ! Oh my gosh you aced the water coloring three times! That's amazing so I'm going to have to sign up for my watercolor class with you soon! Love the image. Whipper Snapper has some fun images and I love this one. Brilliant idea to shape the cheeks and bone too! What a very cute doggy and I adore the naughty but nice sentiment the best, goes so well for a pet! Too cute! This is such a fun card, loll. And I do see the resemblance to your cute pup! I see you are still featuring that great DP and I must say that i love the white space on your last card. Oh golly, this is an adorable image and you've showcased it beautifully in your cards, Loll! Your coloring is fantastic and I also really like the backgrounds. Violeta is absolutely precious! I thought of Violeta as soon as I saw the first card! What a wonderful match and all three cards are such fun! 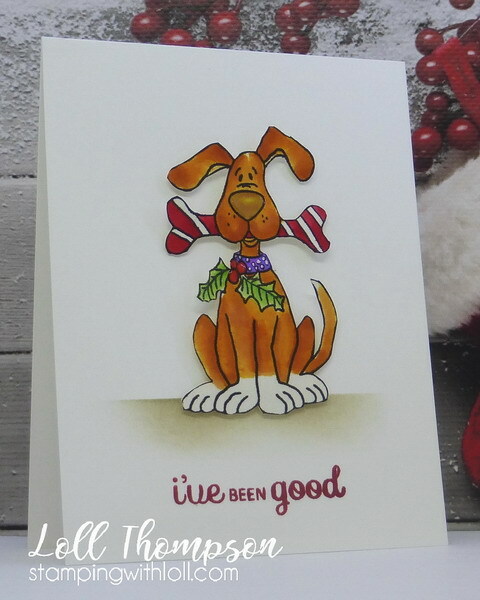 Love that patterned paper too and the sentiments are so perfect for puppies! What a cutie .... and all beautifully coloured. This is adorable. I love his shiny nose and bright striped bone. The sentiment is so cute! A fun dog lover card. Violeta is the cutest with those sweet little white paws. The dog is adorable, and you've coloured them in beautifully, Loll. I like how you used the patterned paper on the first card, great idea. Oh my goodness--these are all adorable, Loll! The last one is so neat looking like Violeta for sure! So cute, Loll. Who can resist that face? No wonder the sentiment is perfect. This is one of my fav Whipper Snapper dogs (and I have this one too! DD loves it). 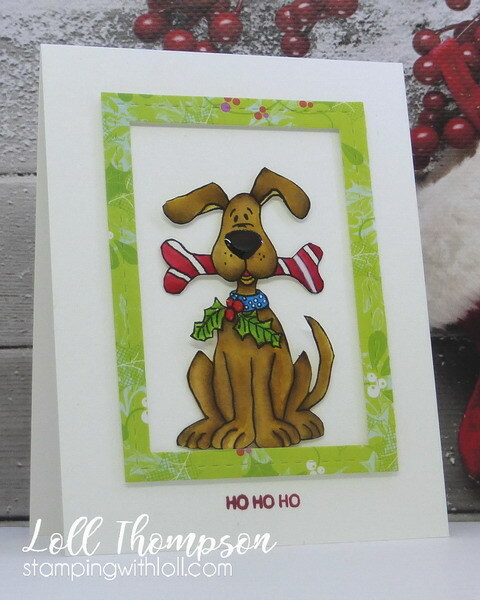 How very versatile you've made this poochy with the different backgrounds, colors and treatments that you've used on each card. He's perfect for the Rudy Day entries. And while he's cute as can be, I have to say Violeta is much more beautiful! She looks like a happy doggie too! TFS & Hugs. All three are so adorable, Loll! The dog stamp itself is cute but your coloring makes him even cuter. They'll all put a big smile on the recipient's face. The third one does look like Violeta! 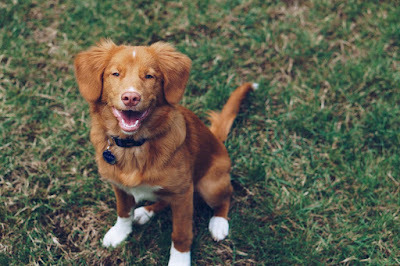 Love his friendly smile in the photo! Oh, these are so cute, Loll! I love the green background paper and how each one is unique, especially your little Violeta - she’s adorable! Thank you so much for playing along with the Rudolph Days Challenge! :-) I love this sweet dog. I rarely see animals on your cards, so the more they are unique. Just like a special gift this sweetie has ... I would not give away my bones to anyone :-). However, I love the third card the most, for those white feet of Viola.